Dominican Republic is the land of the merengue – a rhythmic dance mixing the sound of African drums with Spanish maracas. Most Dominicans are descended from African slaves and Spanish colonists; They enjoy a far higher standard of living than their neighbors, the Haitians. Santo Domingo, the capital of the Dominican Republic was founded in 1496. It is the oldest European settlement in the North American continent. The city is dominated by forest covered mountains that is farmed intensively. Christopher Columbus claimed this island of Hispaniola for Spain in 1492 and some believe he is buried in the Santo Domingo Cathedral. 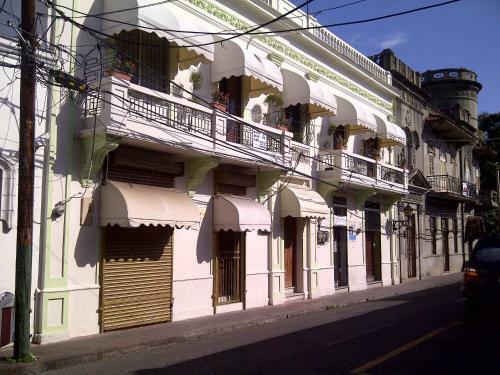 Take a walk down the Calle Las Damas to appreciate a little more of the colonial era. In this street you can enjoy excellent views, museums, parks, embassies, five star hotels, and ends with the Alcazar de Colon. At night it is even more beautiful and romantic. The ideal time to explore the entire Santo Domingo is during the months of November - March. 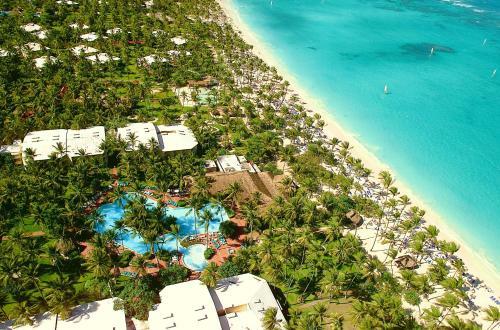 That is the point at which this city encounters its best beach climate, regardless of the possibility that there aren't any extraordinary beaches to revel in Santo Domingo. Around April to July is also an appropriate time to spend a vacation. But during August –October, travel is not advisable because it is the height of the storm or monsoon season. However, on these months lodging rates and flight plans are priced much lower and you can find luxury hotel rates for as low as $100 a night. From late fall and all throughout the winter season the normal highs are in the mid 80s with lows that range all the way down to the 60s. It’s an ideal climate to enjoy long walks around the Malecón. The Catedral Primada de America is the oldest cathedral in the New World that is still in operation. According to the Dominican guides, this is the first cathedral in America that was preceded by the cathedral of Mexico City, built between 1524 and 1532, and then demolished in 1573. It can be said in fairness that is the oldest cathedral that has maintained its status despite many revisions. Its architecture is very dramatic and mixes all architectural styles. It is designed in Gothic and Romanesque and also shows traces of baroque of the seventeenth century complete with decorations. It is filled with so much history even if it has undergone many changes since its initial construction. Visit and avail of the audio guide to better understand every part of this old cathedral. From inside and outside you can breathe a lot of spirituality. In the garden, there is a plaque to commemorate the visit of Pope John Paul II, while outside on the side of the square beside the bars and souvenir shops there is a park (Parque Colon) with the statue of Christopher Columbus under which most tourists take photographs. Modest clothing is required and scarves must be worn by women who come in off shoulder blouses, bare legs are also not allowed inside the air-conditioned cathedral. The Parque Colon is the central square of the Old Town. On the side the cathedral faces this famous square. Cafes, restaurants and jewelry shops are in the vicinity. The most interesting scene in the square is to watch the local people, where you see some playing dominoes, and others sitting on benches and observing every passerby. The large bronze statue of Christopher Columbus stands in the center and the most photographed spot of the prominent plaza. It is an impressive monument with items donated by the embassies of friendly countries. The monument to the discovery is also very beautiful. This park served as the main center of celebrations of the colonial era society. It is currently used as the main place for cultural activities and also forms part of the Heritage of Santo Domingo. The Parque Colon is a monumental tribute to Christopher Columbus, with many historical and cultural options (such as museums, art galleries, antique shops and the Cathedral of Santo Domingo) and a row of restaurants that surround it. The easy to access park is an ideal place to spend a relaxing afternoon to have a drink or two or enjoy a nice meal at one of the many restaurants in the plaza site. A meeting place for locals and tourists, the park is always very busy. The green space is nice and a visit is a must. The Alcazar de Colon is one of the significant points of interest that must be visited if you are making the city-tour. This attraction was the beginning of the circuit through the historic part of town. Historic building was the residence of Columbus. At the entrance audio guides are distributed to hear the story and a local guide who accompanies the group of tourists (they speak fluent English and Spanish). The building houses some furniture and paintings of the era and they will guide you and tell the stories. The building has windows and a large balcony facing the river with a beautiful sight. The visit is worth the story. The impression they want to create is that the characters of the story will come through the door and follow up with the visitors. It is a tour that requires time and it is amazing how history is preserved. The construction is fantastic and the furnishings are very well preserved. The audio guide helps a lot in understanding the rooms and without the presence of a guide it is kind of hard to comprehend what goes on with the exhibit. It is one of the great attractions of the city of Santo Domingo. It is the house where Diego Colon, son of Christopher Columbus once lived and ruled the city. Through the audio guides you can get a sense of the grandeur of the "museum". It's all very well maintained and presented. The Park of Three Eyes of Water is an interesting rock formation in the middle of the city. It is famous for the natural lake formed in the middle of the site and its lush vegetation. If you like to visit caves, lakes, and a devout nature lover make sure to include this attraction in your travel itinerary of places to see in Santo Domingo. The tour includes the view of stalactites, stalagmites and rivers / lakes underground. The waters of the river gained prominence with its characteristic blue color due to the presence of limestone. The access through the park includes descents and climbing stairs, which can be tricky for people with reduced mobility and impossible for wheelchair users. You need not pay to enter the park, but there is a local guide accompanying the group who explains the attractions and at the end asks for a complimentary tip. There is a small bar to purchase drinks and the restrooms are clean. To enjoy this place, go up to the largest and deepest lake, the natural beauty is all worth the effort and time. Both the caves and the lakes are well preserved and it is hard to pass up on seeing this natural spectacle when in Santo Domingo. The Zona Colonial or the Colonial Zone of Santo Domingo is the area where you can find the main historical buildings, cathedral, and streets that still retain a certain colonial air. You cannot fail to visit this site as it holds the most significant places to see in Santo Domingo. This is where you can circulate the city in a larger perimeter. Besides the historic buildings and the cathedral, there are shops that sell jewelry with the local stone called Larimar, plus the bars / restaurants/ cafes and bistros that are also tempting to see and try what they offer. There is also a local store that sells chocolate, plus of course the typical tourist shops that sell souvenirs and tokens of a visit to the city. The National Botanical Garden is an immense green area and if the tracks were not so good it would be easy to get lost. It is a sanctuary of plants and animals that are mostly endemic to the nature of Dominican Republic. Schedule an early morning visit to avoid the huge crowds. Be sure to catch the exposure of the Jurassic Park dinosaur replicas that look and felt realistic as they emitted sounds and moved their heads and tails. You will feel like you travel back in time to the Pre-historic era. Do not forget to visit and ride the train that takes you to the best places in the park. You can see the entire Botanical Garden (it's pretty big) and even has explanations of the guide. There is a stop of 10 minutes on the Japanese garden that could be a bit longer because the place is pretty nice and offers a magnificent side show. The Calle de Las Damas (Streets of the Ladies) avenue is very nice and you can find several museums, churches and historical places of Santo Domingo. There are very good restaurants around. Explore this and the next squares surrounding the road for they are the most beautiful places in the area. There are always guides to show and guide you through the site. Sometimes it gets a little overwhelming to be in the middle of the most scenic and historic attractions of the city, but the best part of seeing this prominent street is that it gives out information that you do not usually see in museums. The National Pantheon (Pantheon Nacional) is an old Jesuit church in Santo Domingo that has been transformed into a mausoleum where they buried important people who have made a contribution to the history of the Dominican Republic. A sign of respect is signified by the presence of an eternal flame and a national guard assigned at the entrance. If you wait enough you can witness the changing of the guard ceremony; a moment that gives an interesting twist to a place that truly deserves a visit. It is very nice to see the ceiling fresco depicting the conflict between good and evil. In the Streets of the Ladies, stands this neo classical building, which once served as a church in the beginning of the 1740s and as the official headquarters of the Jesuits in the New World. Later on, it served Spain and its colonies in 1767 by order of King Carlos III when he ordered to have all of the Jesuits imprisoned. The former religious site was used for other government uses, until in 1959 by order of the dictator Trujillo it was restored and converted into a mausoleum where the remains of national heroes were moved in this area. It is very interesting and you can experience a calm and solemn walk among the coffins of those who served and defended this beautiful country. The Fort Ozama is the oldest military building in North America. Construction began in 1502 and was once the fortress and military prison until the 1970s, when it was open to the public as a tourist attraction. It is an n impressive place that still has the remnants of the past. It is very well maintained and you can still see the gun, battery, ramparts, powder keg, and if you climb the towers, you are in for a real treat because it has the best view of the sea and the whole city. The entrance fee is affordable and this old fort is a must see when in Santo Domingo. The castle has preserved its defensive walls, as well as the watchtower, which can be easily accessed. In general, the inspection of the entire fort will take a maximum of 30 minutes. It is more stunning if you set your time to visit when the sunset starts appearing in the horizon, it looks picture perfect! The Museum of the Royal Houses or the Museo de las Casas Reales is one of the most visited places in the Colonial Zone of Santo Domingo. The sixteenth century structure was built on the orders of the Spanish Crown to house the offices of the Spanish colonies in North America. It has audio service with explanations in different languages and the entrance fee is not expensive. It exposes many parts of the Spanish colonization and the historic past of the Dominican Republic. The museum contains many interesting pieces of the history of colonization and indigenous history, be sure to visit and use the audio guide (additional $1) because it feels more realistic. The Museo Infantil Trampolin is a nice activity for children. For those who are always looking for something to do with the little ones, from 3-6 years old, a great option is this museum. They provide an interesting out designed for kids with most topics related to science and nature. The museum is focused on giving activities for children and the most important thing is that they have fun and it is much better if combined with learning. It is an educational and interactive place which is not only exciting for children but adults can also enjoy it to the fullest. It is a very basic and simple museum in the city of Santo Domingo and a good option for two or three hours of healthy fun with the children. The National Palace is the seat of the Government of the Dominican Republic and the official residence of the President. You cannot visit or tour inside its premises but you can admire it from outside. The building is very beautiful and imposing and quite far from the Colonial Zone. The building was built since the early twentieth century and the imposing façade highlights an impressive piece of architecture. Still it is worth looking closely, especially every Independence Day commemoration of Dominican Republic. (usually celebrated n February), where dozens of country flags flutter around and when national guards perform a parade within its proximity but can still be seen by the public. The old architecture of Santo Domingo City merges history (oldest capital of the Americas) with the rustic and modern environment of today. It is so fulfilling to be in the city "where it all began" because Santo Domingo and its huge selection of old colonial places and its hospitable people truly symbolize the beginning of the New World in Latin America. Everything here looks grand and stately starting from; the cathedral, the iconic parks and square, wide avenues, forts and palaces. Santo Domingo proudly shows its rich heritage by preserving every bit of history in every corner and it is amazing that it has withstood time and now serves as a memorial and tribute to the work of the great artisans and architects of that time. A visit is indeed highly recommended.